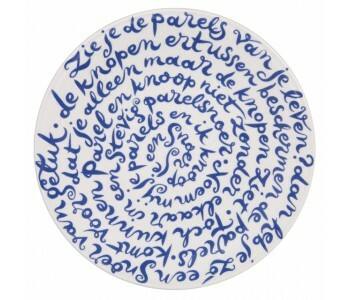 A series of porcelain plates with phrases in calligraphy. This Diskus Plate is about ‘happiness’– see the full text below. Obviously to eat from, but also as a source of subjects for discussion and discourse at the dinner table. Large plates with a diameter of 31 cm. 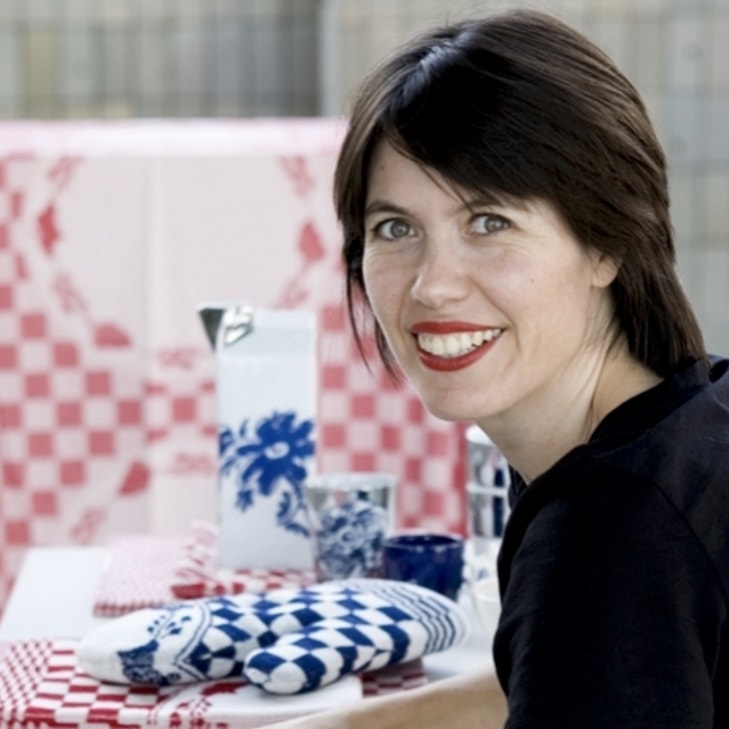 The result of a collaboration between artist Nicole van Schouwenburg and Royal Delft. An inspiring gift. Order a matching giftbox here! Zie je de parels van je leven? 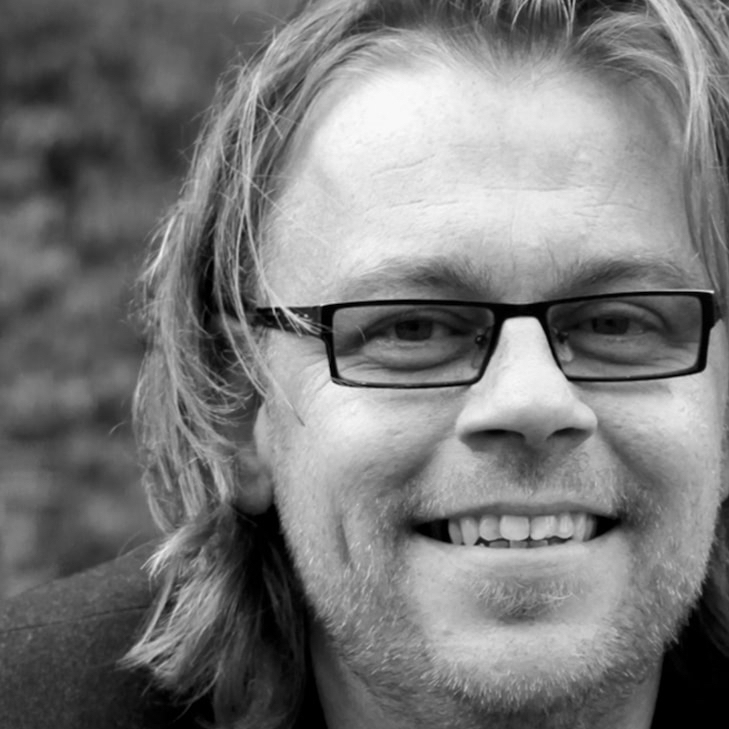 Dan heb je zó een snoer van geluk. De knopen ertussen beschermen de parels. 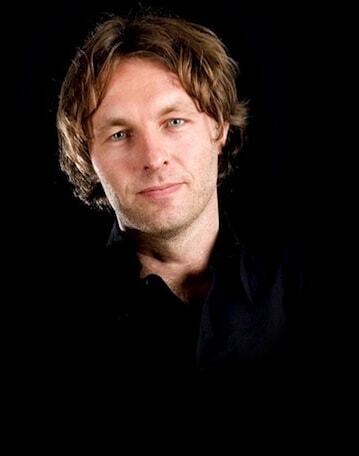 Komt voor dat je alleen maar de knopen ziet. Toch kunnen parel en knoop niet zonder elkaar in een stevig parelsnoer. Noem mij je parels en ik knoop er een snoer van. Nicole on how it all started: "I like to create calligraphic artworks. Preferably with a brush and blue ink. With panache and curls. 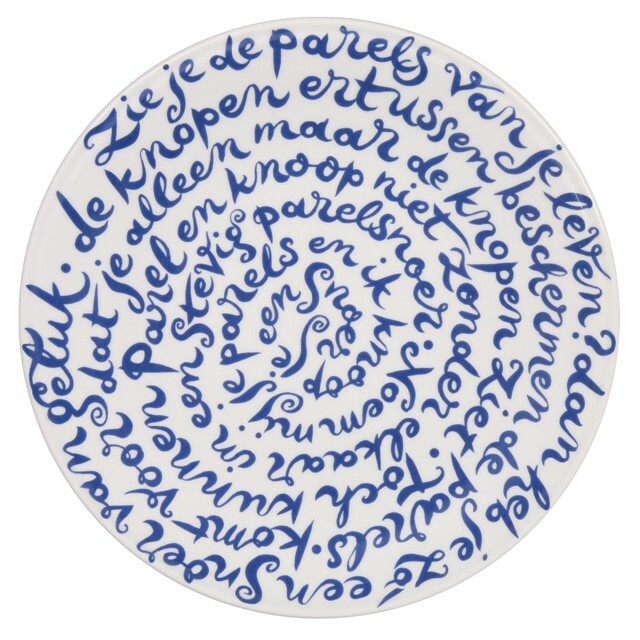 In 2005, I stumbled on an idea: I’m going to paint a plate with a phrase that is written from the outside to the inside, making it decorative. At a certain point, I thought: it’s almost similar to Delftware! With a concept plate, I visited the Porceleyne Fles in Delft. The people here were immediately impressed and thought my plate would make a good product. We started to create the first series. We performed tests in a laboratory to determine the best blue color and the ideal type of plate. A fun and interesting process”.